The Annapurna region of Nepal is the location of some of the world’s highest mountain peaks. 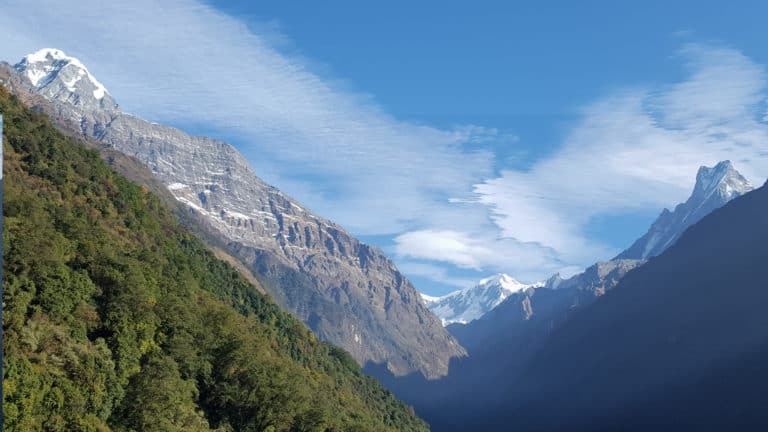 Situated in north Central Nepal, this legendary and spectacularly beautiful area of the Himalayas has several major trekking routes between Besishahar and Jomsom. 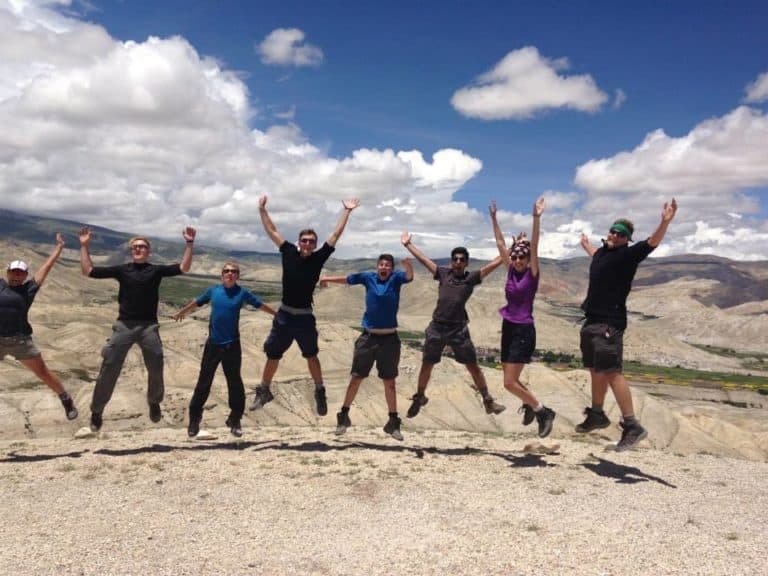 These routes include the two-week Annapurna Circuit Trek via Bahundanda and the high Tibetan Plateau, an area of wide open spaces and dry grassland surrounded by high, rocky snow-capped peaks. The trek passes through some breathtaking scenery and you will experience the delightful hospitality of the local people. 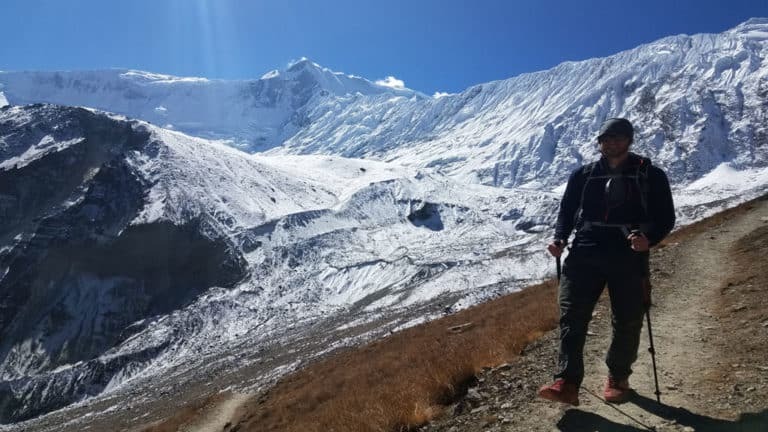 The Annapurna Base Camp Trek takes you through the Annapurna foothills, a classic lowland walk that offers fine panoramic views of the Himalayas and a taste of the wilderness with some ascents and descents that are not too taxing but give a fascinating glimpse of life in the Himalayas. The varied landscape along these routes, the lush valleys and terraced hillsides in the rain shadow of the Himalayas, the high peaks and wide open spaces, and the diverse mixture of Hindu, Buddhist, Mongol and Gurkha villages, combine to make trekking here one of the most rewarding of experiences. The area has been described in a survey undertaken by Modern Maturity (USA) as offering some of the world’s most spectacular trekking routes. 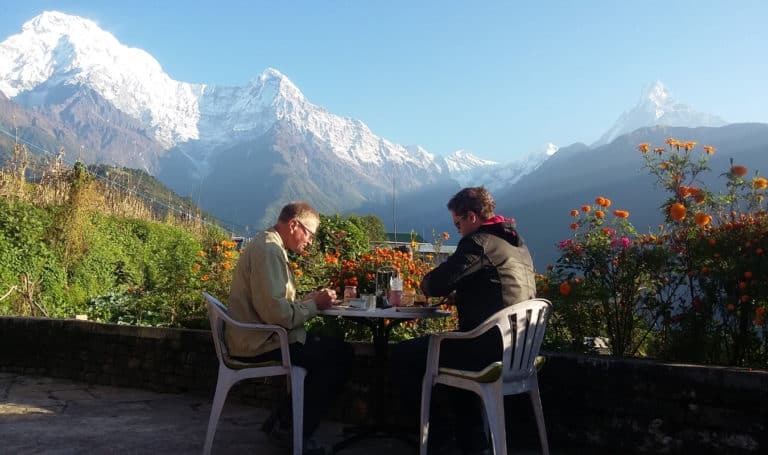 The high peaks include Dhaulagiri (8167m), Manaslu (8156m), Annapurna (8091m), Tilicho Peak (7134m), Machapuchhre (6993m), Lamjung Himal (6983m), Tukuche Peak (6920m) and Nilgiri (6940m). The Kaligandaki Pass between Dhaulagiri and Annapurna is the deepest gorge in the world. The route passes below steep rock faces with patches of lush greenery and spectacular waterfalls sparkling in the sun. 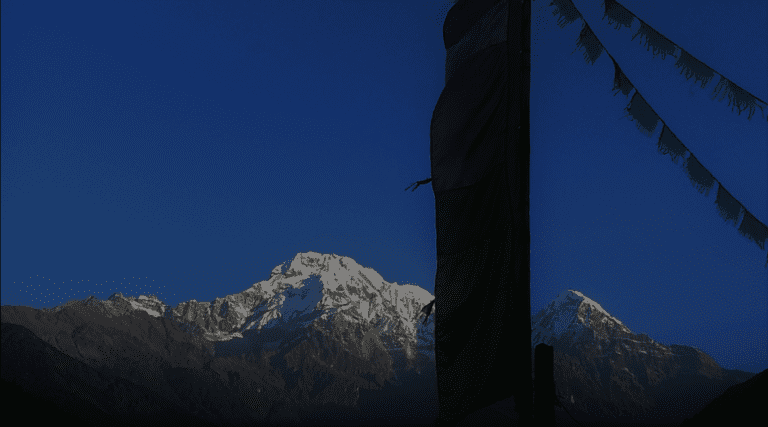 Pokhara or the ‘City of Lakes’ is either the start or end point of your visit, around 200km west of the Kathmandu valley, which is easily accessible by either road or air. 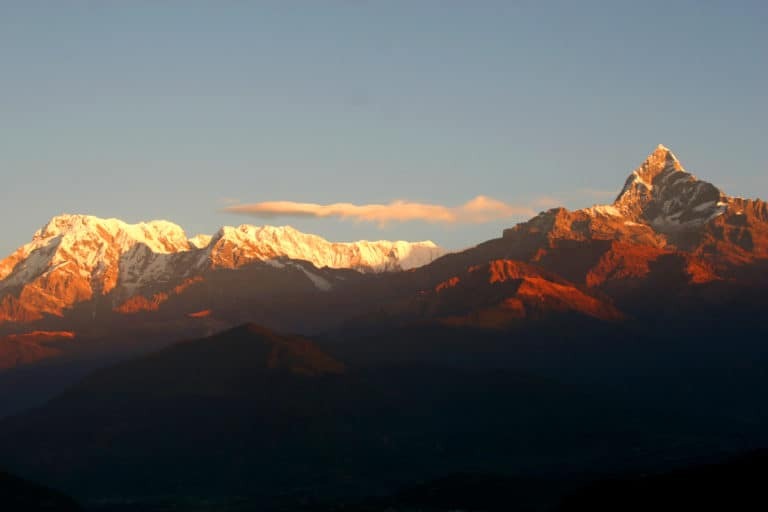 Situated at an altitude of 827m, Pokhara earns its name from the several lakes that surround it, including the large Phewa Lake to the west and the Begnas and Rupa Lakes to the west. The distant high peaks of the Himalayas create a magnificent backdrop to the picturesque little town, tempting anyone to explore deeper into the wilder areas of this beautiful country.